In the last couple of years, I find that I rarely use physical books to read something new. Previously I’ve written Musing: On Reading and Learning From a Computer Screen where I talk about how reading from the screen works well for me. I recently started a new role that requires me to use a Windows 7 laptop and I’m finding itunreadable. Either there is something wrong with Windows or Apple have done something exceptional with screen displays. Personally, I find the difference between the two renderings to be extraordinary. 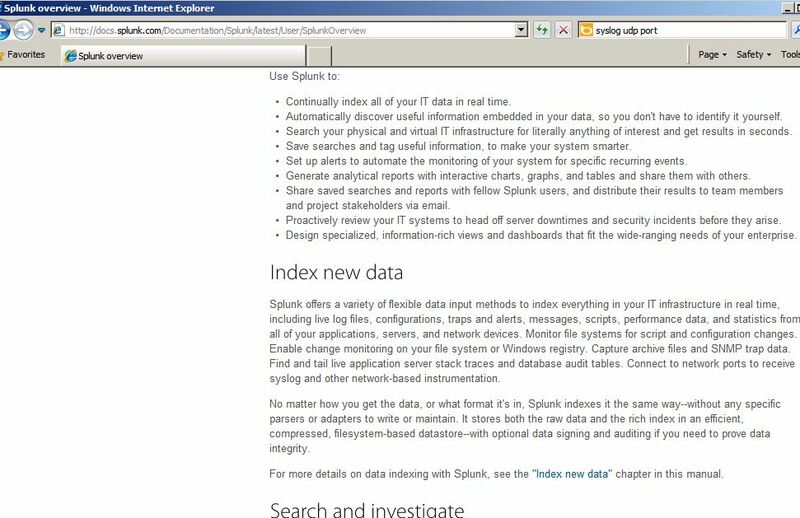 I’ve been sitting at my desk attempting to read a manual on Splunk for most of the morning and I’ve got a howling headache. I switched to using my Mac around lunchtime and it got a whole easier to get through the material. Otherwise I would have needed to print the manual out – really, we don’t need to do that anymore. For sure, I’m a fan of MAC OSX but I’m finding/realising that it’s much better at making reading on a screen possible. Lets skip the eye candy comments, and come down to hard data. Since I haven’t used a Windows system as a desktop for three or so years (note: excepting the occasional use of RDP for server side functions or MS Project) I wasn’t really aware of the difference. But today, I’m doing all my reading on the MAC next to the company laptop that uses Windows because I can’t read properly on Windows. It’s a subtle thing to notice. Note: This company laptop is solidly infested with corporate malware and I have no capability to change anything except the screen resolution which is correct. I do not think your headache is from rendering alone. Screen quality is also an issue here. Now, is your Windows machine on par with your Mac laptop on quality? Or are you comparing low/mid level machine with Macbook line? I disagree. I have the same problem using Windows in Parallels window on the same screen. I have blamed the virtual display driver but now I realise that it’s Windows and a poor quality font rendering system. It won’t solve all of your challenges and I’m not sure if you have the ability to add browser extensions, but I find the Readability brower plug-in invaluable for reading html “formatted” text. I prefer the Instapaper version myself, and Google has one too. But that doesn’t solve reading PDF or SSH sessions. Oh, I’ve tried both internal and external monitors – both give me the same problems. The text is much harder to read than the OSX version. On your VM, if you have control, try using Safari for Windows. I’m curious if it is Windows or just IE that is the problem. Here’s some things I’ve done to improve reading on Win7, which I realize you won’t be able to do as the system is locked down. I’m making the point that I believe you could arrive at a usable solution, although perhaps not one you prefer over Mac. But at least a solution you don’t hate. (1) Change the browser font of choice to something that makes your eyeballs happy. The default fonts never work for me. If you can’t find a canned font you like, download what you want and install it to Win7, usually via a right-click / install. (2) Pump up the size. I am running 120% in Chrome by default lately, but will probably back that down a little bit. 100% at 1920×1080 on the native laptop screen is a bit squinty for me, although usually fine on my larger external monitors. Ctrl+ and Ctrl-. (3) Chrome is as flexible as you need. IE is painful in every conceivable way. If you need IE to render some site properly, use IETab extension inside of Chrome. (4) Build a custom color profile for your monitor…I have found this surprisingly helpful. (5) Tune clear-type appropriately for your monitor. This helps a lot with letter uniformity and rendering. Even as a windows user I completely agree. I’ve been saying this for years, fonts look more pleasing to the eye within OS X. They are more bold or semi-bold which I’ve tried to replicate in windows with some registry tweaks. Microsoft engineers have many blog posts about how they improved font rendering in Windows 7 although to me, it’s no different than what we had since Windows XP. I hope Windows 8 will copy whatever Apple has done so well. 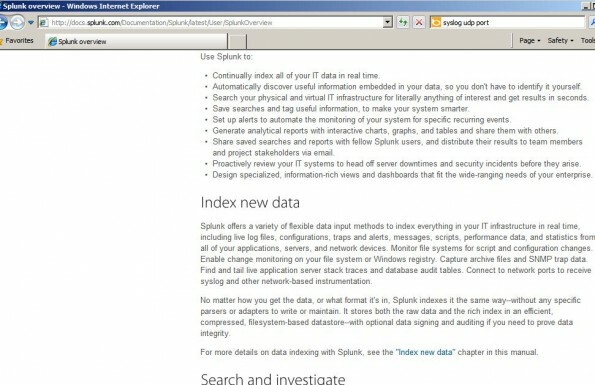 Semi unrelated but you’re going to love Splunk once you get to know it. and now…you have inspired me to adjust my display for optimal reading. @ecbanks:disqus I just adjusted Chrome to 120% and changed default fonts….so much better. 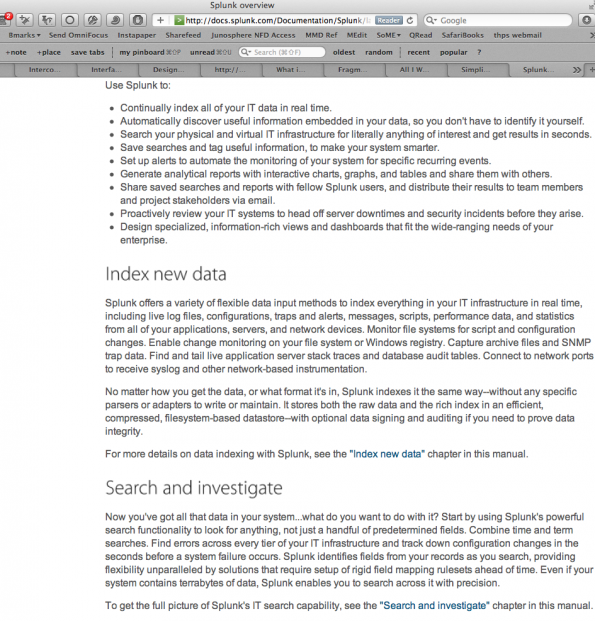 @etherealmind:disqus The more I read your stuff, the more I want to dive head first into Apple products. I almost made the decision to go all Mac but then decided to stick with *nix to run dynamips. I think looking forward, I will just build a *nix server for dynamips and run all Mac machines. Use GNS3 on the Mac for dynamics ( lots of posts here somewhere) or use an emulator to give you Linux in your Mac. You’re not crazy.. Actually, when I first got a Mac, it took me quite a while before I was used to the font rendering. cost of a little bit of blurriness. readability, even at the cost of not being true to the typeface. I personally use FIrefox. reading from IE had always been so … weird. It has something to do with rendering, IE messes kerning spacing and such. Not so long ago Czech magazine diit.cz did some observation on rendering of their pages with various browser. Confirmed, IE messes rendering up and makes things much less readable. I have the same problem in PDF files. 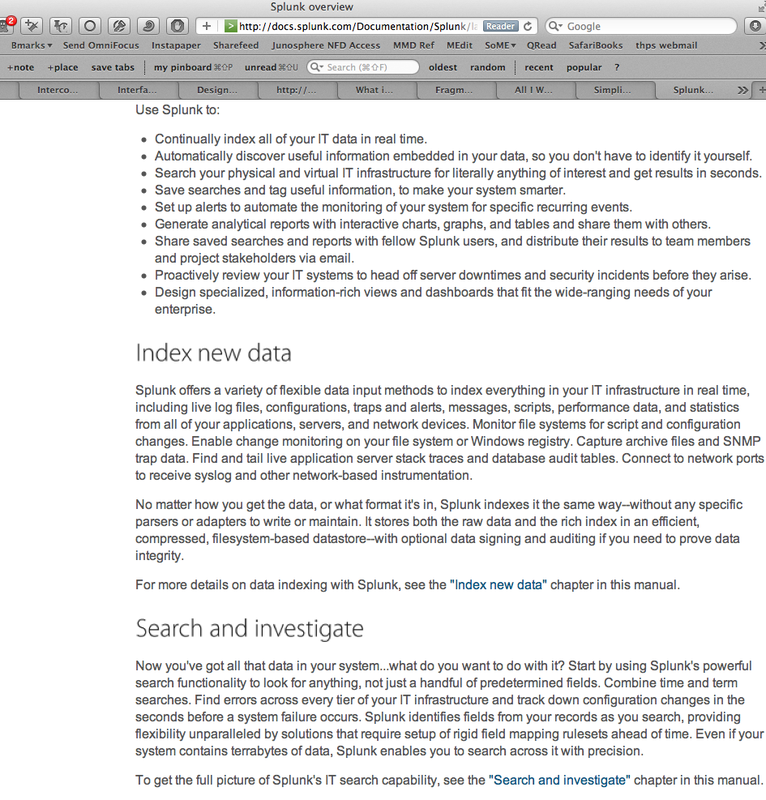 Hard to read on Windows, easy to read in Preview on my Mac and iPad. Not just an IE problem, but a system wide function. I’m with the “tune Cleartype” responses. I am viewing the same page on IE side by side with your screenshot, and I’m hard pushed to make it render as badly as your version even when I turn ClearType off entirely. One of the things ClearType can do, if tuned badly, is make the text look more gray – it’s an option on the way through the tuning process to say what looks best for you. It might be worth setting CT up again and see if that helps any? 1) Cleartype doesn’t fix the problem on any system I’ve used. It’s _improves_ it a bit, but the font rendering is definitely less readable on Windows than my Mac or iPad. 2) Cleartype configuration is usually blocked by group policy because of a major vulnerability (Windows is always insecure) from about five years ago. Microsoft should have fixed this if they want customers to enjoy their product. Instead, they choose to continue with poor quality screen display. Thanks mate, didn’t know what I was missing!